The Patrouille de France demo team completed their first tour of the US in over 30 years, a goodwill mission celebrating the continued friendship and cooperation of our nations. Along the way, they met up with the USAF Thunderbirds for a joint flight over the skies of Nevada and California. 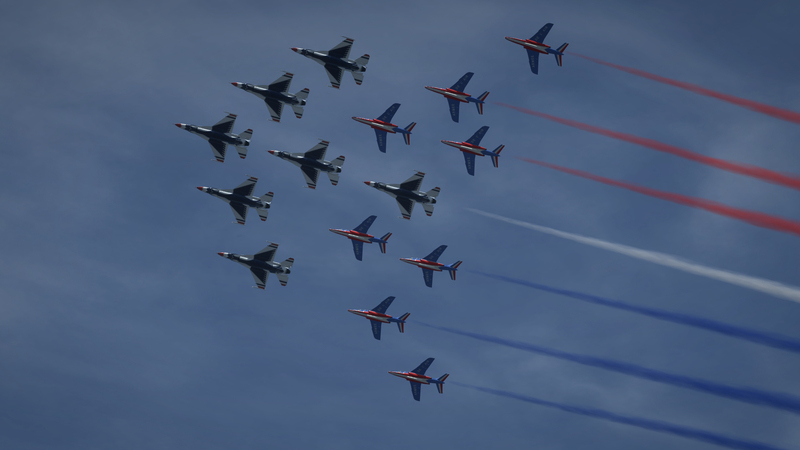 The Virtual Thunderbirds recently had the honor of hosting the Jetesons for a similar mission. Thanks and our warmest regards to the Jetesons! The joint flight performed with the Patrouille de France by The Jetesons took place April 28, 2017. 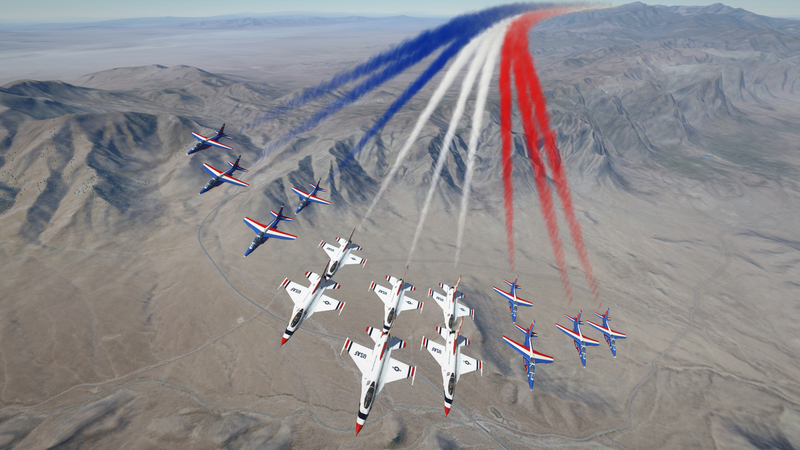 Follow along during our photo op mission where the Virtual Thunderbirds flew together with the Patrouille de France by The Jetesons to commemorate the Patrouille de France and their historic US tour.